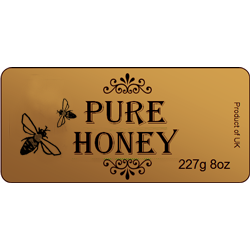 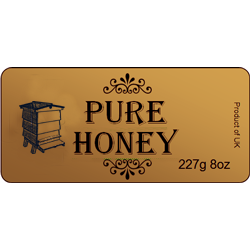 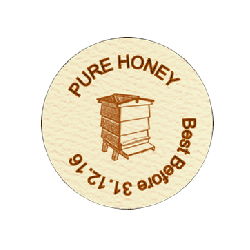 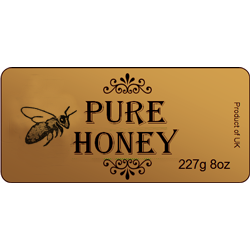 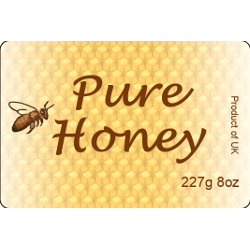 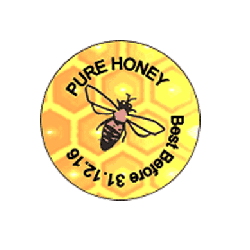 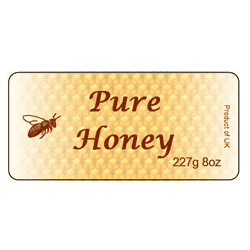 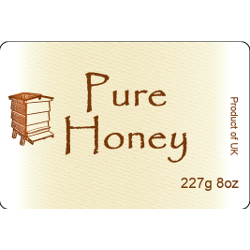 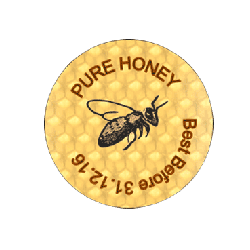 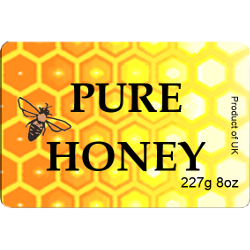 Honey labels in a range of sizes and styles. 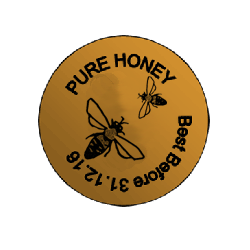 Laser printed and self adhesive. 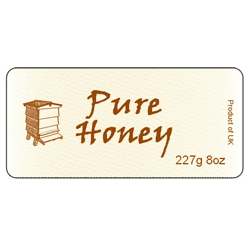 Every label has a design (D) number so front labels, tamper seals and round lid labels can be matched. 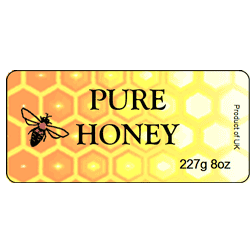 All labels can be personalised with your own text if required. 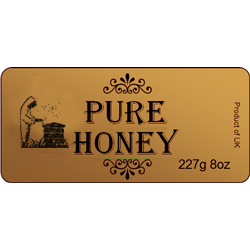 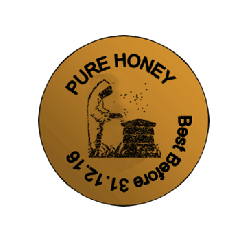 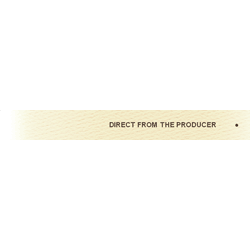 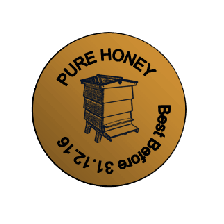 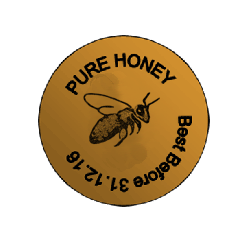 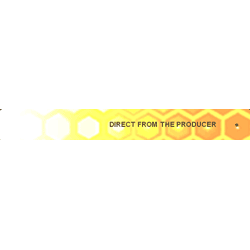 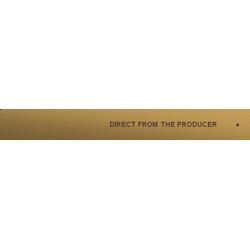 All our labels are designed with clarity and simplicity, proven to show your honey at its best.